Introducing a whole new series of bathroom vanity to our Benton Collection, evolving from the cottage look to the modern contemporary, it is the concepts behind the Kalani models. 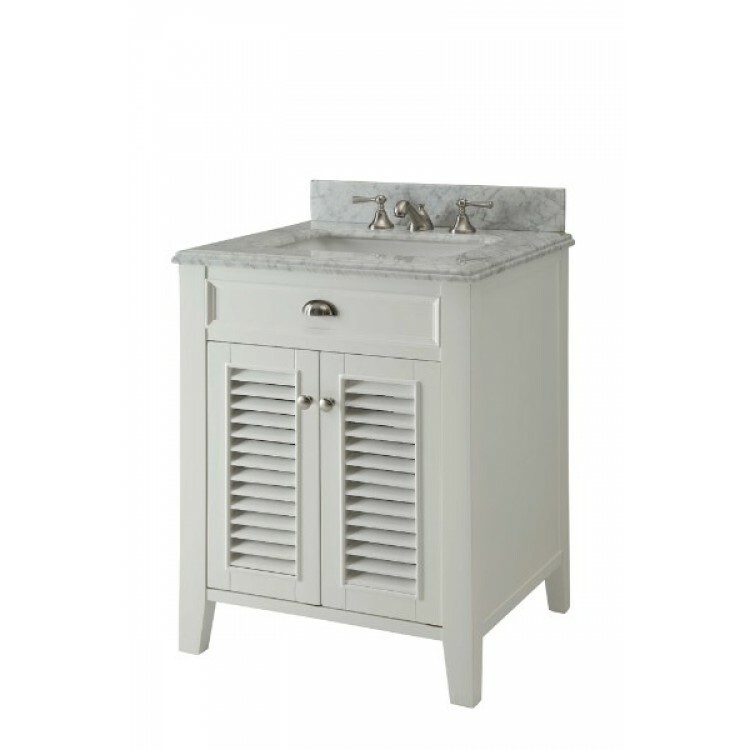 This all wood bathroom vanity set includes a premium white cabinet with soft closing doors, authentic Italian Carrera marble countertop with stunning double-thick beveled edges and white under mount ceramic sink adds a great contrast. Fully assembled by the manufacturer, with countertop & sinks pre-installed. Italian Carrera marble top (genuine) double-thick beveled edges. Under mount rectangular white ceramic sink. Three pre-drilled faucet holes for standard 3 hole 8" spread faucet. Single sink bathroom vanity with two doors. Hardwood frame and legs. Brushed nickel hardware. Faucet & Backsplash not included. Backsplash cost $55.00.